This device allows you to show free and forced low frequency rotational oscillations. There is an eddy-current brake which allows you to dampen the oscillations. The forced oscillations are caused by an electric motor that drives an exciter which is linked to a coiled spring. 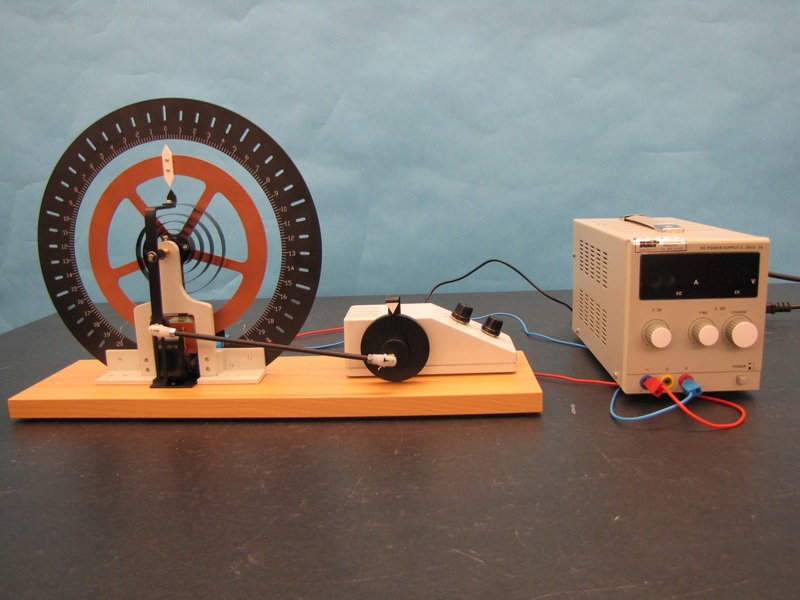 Voltage of the power supply is proportional to the motor speed which drives the pendulum. Chaotic oscillations can also be observed. This can be done by attaching 10 g or 20 g weights to the pendulum body which alters the restoring moment of the torsion pendulum.